Jos. A. Bank dropped the prices of all online clearance items by another 25%! 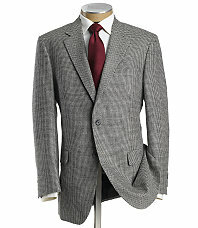 This makes most items almost 80% off and suits as low as $133.50. You can also add coupon code RMNCANADA20 for $20 off a $100 purchase! The extra 25% off discount is only available through today, 10/4.